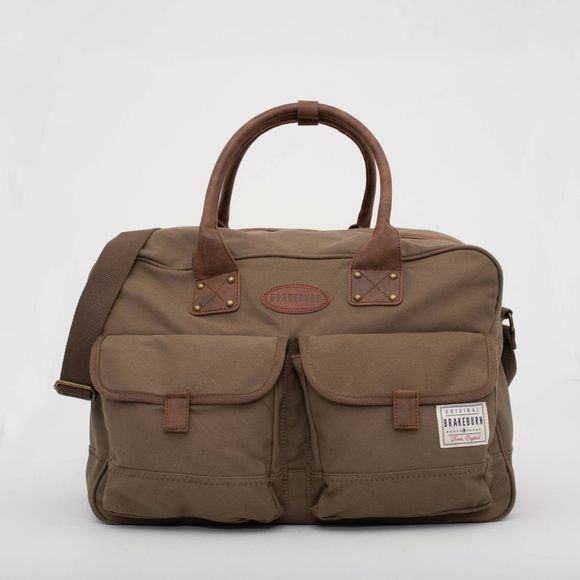 The Holdall from Brakeburn has rugged appeal and is made from a hardwearing canvas with contrasting dark brown leather-look PU straps, carry handles and adjustable shoulder strap. An embossed leather-look branded badge completes the styling. 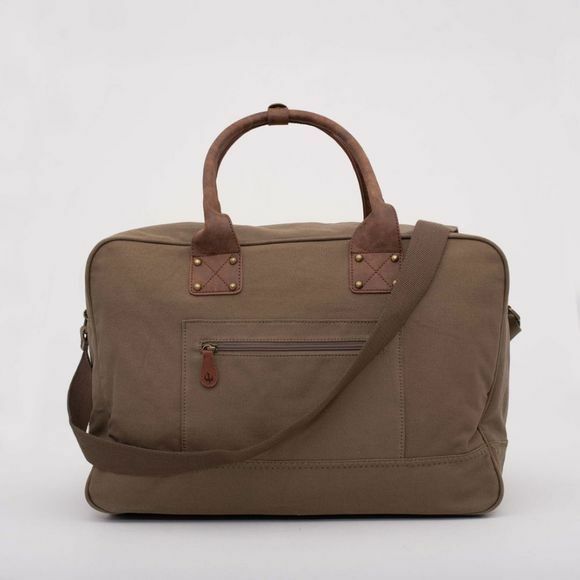 Featuring a large, zipped main compartment with inner zipped pocket, this is a practical choice for carting around all your essentials. Co-ordinates perfectly with our full range of mens accessories.